Remember the giveaway (scroll down)! For my sister who works at a children's hospital. 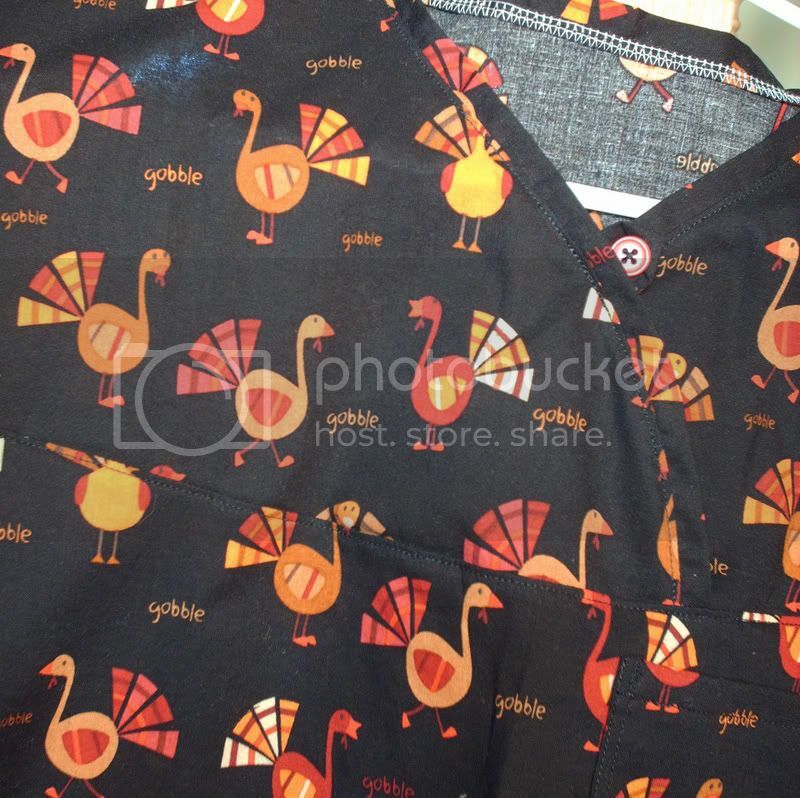 Scrubs with characters and cutesy prints drive me crazy when they are worn by people who do not work with children. 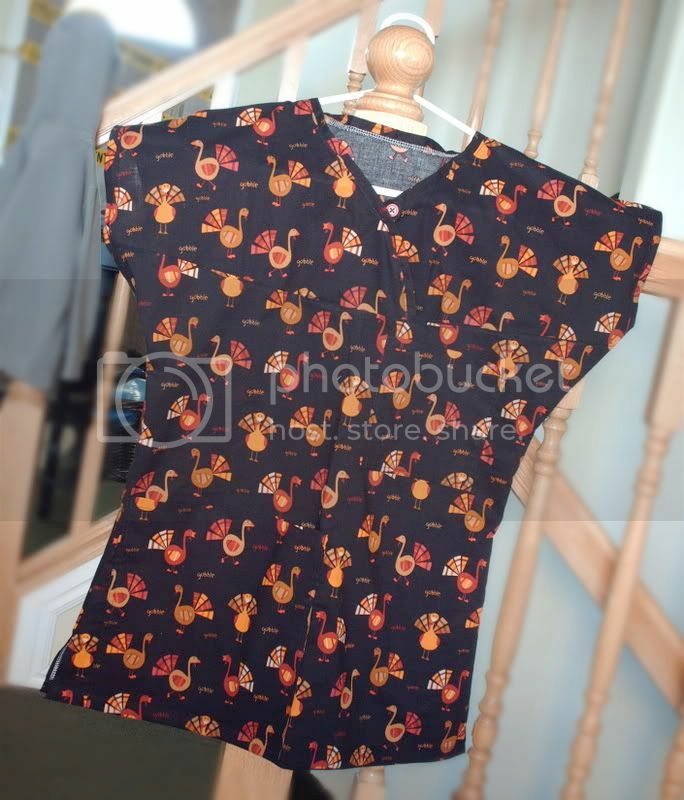 I do not want to go to an gyno wearing Garfield. That cat doesn't need to be there. But when you work with kids? Especially kids who are stuck in a hospital? You need to bring out the cute. There's a Christmas one in the works as well. I just love this print. Poor turkeys.